You might not think Ohio seems like the most “rock and roll” of states – maybe California or New York comes to mind. Perhaps this fun fact will change your mind – “Hang on Sloopy” is the official state rock song. If you don’t know this gem then look it up – Ohio is a seriously cool place to be as this classic song is as cool as they come. It’s also home to the Rock and Roll hall of fame, so clearly they hold some authority on this topic. But what really stands out to me about the Buckeye state is its plethora of space related history. 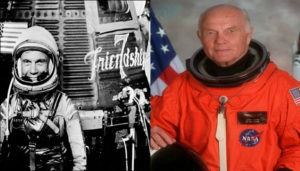 John Glenn, who later became an Ohio state senator, was the first American to orbit the earth, circling it three times on the Friendship 7. A member of the Democratic Party, Glenn first won election to the Senate in 1974 and served for 24 years. He returned to space in 1998 and earned another title – the oldest person to fly in space. If you don’t recognize his name, you’ll undoubtedly know Neil Armstrong, who was the first man to walk on the moon in 1969. This was major, folks, an incomparable moment of pride for every American. Both of these great men hailed from Ohio, spent their lives there, and are now buried there. Astronauts are a unique breed of hero; in many ways they’re the top of the top. In a New York Times article from 2003, Erica Goode said “They must be adventurous but not reckless. They must be leaders who can also follow. They tend to be optimists, doers rather than thinkers, people accustomed to success, confident in their abilities and good at compartmentalizing doubt and fear.” Here’s a drink to toast Ohio’s heroes, unparalleled leaders in our nation’s space endeavors. Fill a rocks glass with ice and add ingredients. 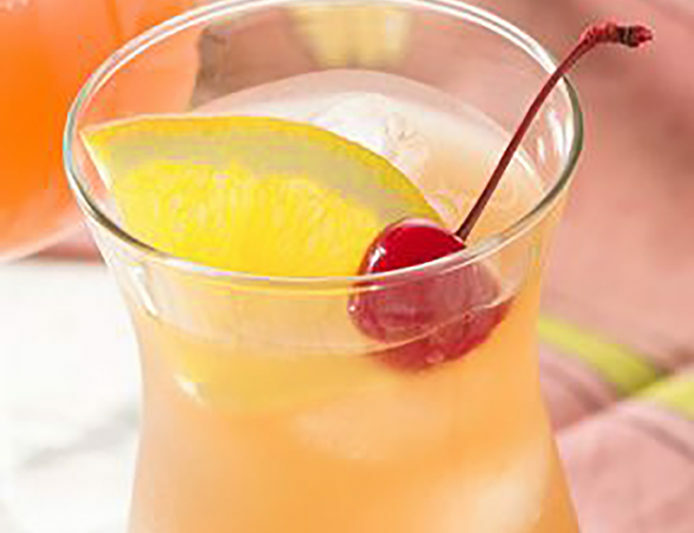 Stir and garnish with lemon twist.